Note: The content was written in collaboration with Media shower. 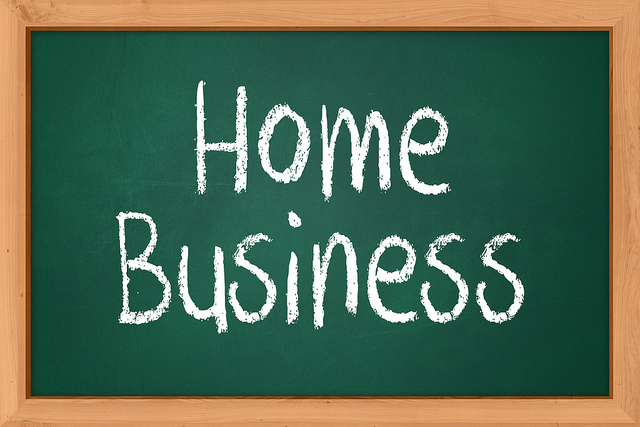 For some reason, lots of people think that running a business out of their home is going to be easy. In fact, most of them (maybe even you) dream of spending their days in their pajamas with a laptop on the couch and raking in the money doing…something. Running a business is hard – even when you run it from the corner of your couch. Here are some tips to help make life easier as a home-based entrepreneur. Create a dedicated space for your business and its materials. If you have a spare room in your house, take that over. If you don’t, plant your flag in a corner of whatever room offers you the best chance of alone and focused time. Declare this space off limits to the rest of your family and keep everything that relates to your business here. In addition to helping you keep your business organized, if you can set aside an entire room in your home, you can claim that space on your taxes and, maybe, reduce your tax burden at the end of the year! Keep the money your business brings in separate from the money you use for personal matters. You can pay yourself from that account, but mixing in your business income with personal income (particularly if you have a joint bank account with a spouse or significant other) gets messy. Keeping things separate and then “paying yourself” helps you take care of business expenses first instead of putting them off for later. Creating a business plan can be a lot of work, but it is work that will save you time and energy later. Putting together a business plan helps define the scope of the business you hope to build. It helps you set goals and figure out how to accomplish them. 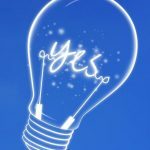 It’s a great tool you can refer to over and over again when you’re not sure what to do next. Even better, having a business plan already created will save you a bunch of time if you ever decide that you want to apply for grants or loans or if you want to take on investors. It’s easy to get distracted and be all over the place when you first start your business. You want to be successful, but you aren’t sure how you want to get there. Here’s the good (but discouraging-sounding) news: You are unlikely to be the very first person to come up with this exact business idea. Find someone who has gone before you and follow their example. Study their successes and failures and apply the lessons to your own business. You can still go your own way, but having footsteps in which to follow can be tremendously helpful, especially when you’re just starting out. The iPad is a fantastic tool for professionals who work from home. Why? Because it allows you to easily take your business with you when you have to leave the house. Tablet computers are easier to take with you and use less power than laptop computers (they stay charged longer, too). You can also connect them to your wireless service, making them easy to use no matter where you are. For example, you can read emails and work on reports while you wait for your kids at the dentist’s office. Sometimes you have to spend money to make money – especially while you’re building your business. Still, it’s easy to get caught up in what you think you need and not focus on what you actually need to succeed. In the beginning, you should have as little overhead as possible. Look for ways to save as much money as possible while you’re building (for example, use that iPad to create a paperless company). It will create good habits for later and increase your profit margin. If you can afford to hire an accountant, do that. It will make your life tons easier. If you can’t, though, it is important that you not allow yourself to get behind on your bookkeeping and accounting. Every day, log the payments you receive, the bills you pay, etc. You can do this through a simple Excel spreadsheet or you can invest in some software like QuickBooks or Freshbooks and use that to help you track your company’s finances. One of the draws of starting your own business is, most think, being able to work whenever and wherever you like. In a way, this is true. If your most productive hours are the evening hours, then those are the hours you can (and should) dedicate to your business. When you run your own business, you’re not obligated to keep the same 8-5 schedule as everybody else. This doesn’t mean, though, that having a schedule is optional. You need a schedule to help yourself focus. You need a schedule to keep your clients from taking advantage of you. You need a schedule to help your family understand the seriousness of your business. Create a schedule for yourself and then stick to it. The most important and helpful list, especially if you are new to being in charge of yourself, is the to-do list. All hail the to-do list! The to-do list is what will keep you on track moment to moment each day. It helps you make sure that the details of specific projects don’t fall through the cracks or get forgotten about. It keeps you from turning on the TV when you should be working. At the end of every day, take ten minutes to put together your to-do list for the next day. You will be amazed at how much more you can get accomplished when you have a to-do list to follow. It’s easy to let your personal and emotional care slide when you’re starting a business. You’re focused on getting up, running, and turning a profit. You put off things like hobbies, spending time with friends, and maybe even showering. Stop it! It’s important to take time for your personal and emotional care each day. When you fail to do this, you raise your chances of getting sick, damaging personal relationships, and creating situations that will be infinitely more distracting to you than simply taking an hour to go out for coffee with a friend or 20 minutes to shower. Plus, when you feel good, it’s easier to focus and serve your clients and customers! Have you started a business recently? What are some of the things you’ve learned? What are some of the “hacks” you’ve used to help make your life easier?